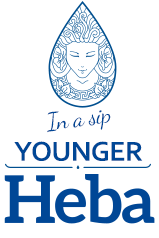 Clinical trial has confirmed that Heba Strong mineral water releases harmful substances. New packaging Life 100% juice, practical to take! We are known for being big fans of innovations and for boldly embracing changes. We feel responsible to ourselves and our customers and because of that our products are always of world-class quality. We are making the difference and adding value – love that we make part of every day we spend producing the best of what Serbia offers. Nectar is every seed sawn on our fields where we pick the most succulent flavors and send them to your home. Nectar is not just a brand. Nectar is family. Nectar is the pure emotion that your share with your child, your family and your friends. Nectar is your family friend that your share everything good, beautiful and delicious with, but also sad, unexpected and surprising. Nectar is not just fruit, or merely vegetables poured in a packaging, it’s all the love that we use to pick that fruit with.